Credit: All photos courtesy of The Landmark Trust. 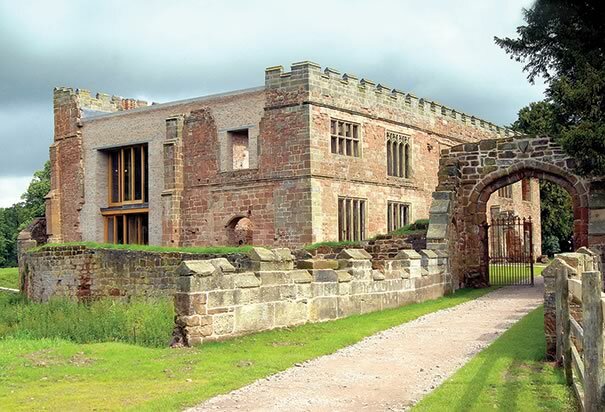 Cintec International, a leader in the field of structural masonry retrofit strengthening, repair, and preservation, reported recently that its patented anchors were used in the restoration of Astley Castle in Warwickshire, England. 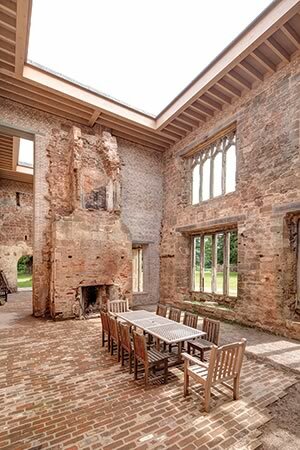 Following its renovations, Astley Castle was awarded the prestigious Riba Stirling Prize for Architecture. The restored castle makes the most of available, natural light and provides breathtaking views. According to the Trust, the site includes the moated castle, gateway and curtain walls, lake, a church, and the ghost of pleasure gardens in a picturesque landscape. In 2005, the Trust launched an open competition to find the best restoration plan that would create good, modern accommodation within the ancient ruins. The winning scheme, the Trust reports, by architects Mann Williams, maintains the sense of life and living within the castle, while making the most of the views – both into and out of the site. As The Landmark Trust explains: “After careful recording, those parts of the building beyond pragmatic repair were taken down. The new-build introduced also consolidates and ties together what could be saved of the original fabric as unobtrusively as possible, leaving the castle’s form in the landscape largely unchanged. There was further work on the wider setting, including repairs to the curtain walls and moat, and the 18th-century Gothic stable block. The historic parkland surrounding the moated site, much of which is a Scheduled Monument, has been opened up with public trails. 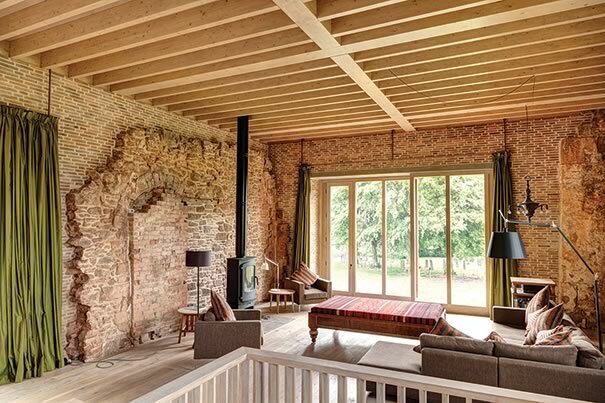 Cintec teamed up with architects and engineers from Bath-based Mann Williams and Newport-based waterproofing engineers Protectahome to restore the castle. Cintec assisted Protectahome with the first phase of the nearly $4-million restoration, which included structural repairs and stabilizing the remaining walls of the building prior to rebuilding. Cintec’s patented anchors were used to stitch together and strengthen the walls. Protectahome was brought in to complete the initial stage of stabilizing the remaining walls of the listed building prior to restoration. According to the firm, its technicians installed more than 160 consolidation and stitching Cintec anchors, including two, 12-meter anchors. 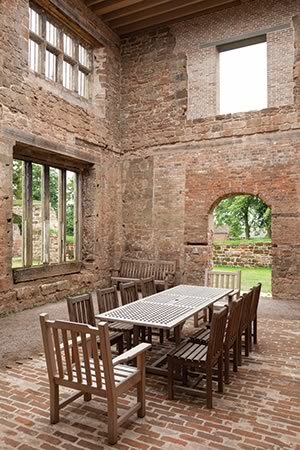 Astley Castle is available as a vacation rental property. Visit landmarktrust.org.uk for info. The Riba Stirling Prize is the UK’s most prestigious architectural award. Judging is based upon original, imaginative, and well-executed designs that excellently meet the needs of their users and inspire those who use and visit them. Cintec anchors have been used to restore historically significant buildings across the globe, including Windsor Castle, the White House, and extensive work on Egypt’s pyramids. By the early 12th century, the castle was held by Philip de Estlega (Astley) from the Earl of Warwick. Philip’s grandson Thomas de Estleye was killed at the Battle of Evesham fighting with Simon de Montfort in 1265. The castle was crenellated [having open spaces at the top of a wall so that people can shoot guns and cannons outward] and moated in 1266, when it briefly changed hands before reverting to the Astleys. By 1420, the manor had passed through marriage to the Grey family and became entangled with the succession to the throne of England. It’s easy to see one’s family enjoying a meal around the table in this remarkable space. It was under the Greys in the late 15th century that the castle achieved its most mature form. However, after the death of Edward VI in July 1553, Henry Grey, Duke of Suffolk seized the initiative and placed his daughter, Lady Jane Grey, on the throne. Jane’s reign lasted just nine days, before Mary I’s superior claims prevailed. Both Jane and later her father were beheaded for treason – Lord Grey rebelled a second time in January 1554 and was captured in a hollow oak tree at Astley. In 1600, the castle was bought by Sir Edward Chamberlain. The Chamberlains restored the church and improved the castle. During the Civil War in the 1640s, Astley became a garrison for Parliamentary soldiers. In 1674, it was bought by the Newdigate family, who owned the neighboring Arbury Estate, and the castle became a subsidiary dwelling. In the 1770s, a Sir John Astley leased the castle briefly and was responsible for the construction of the stables and coach house. Requisitioned during World War II for convalescing service men, a dilapidated Astley Castle was restored by the Tunnicliffes in the 1950s as a hotel. The castle completed its slide from grace when it was gutted by a mysterious fire in 1978, just days after its lease had expired. Vandalism, unauthorized stripping out, and collapse made its plight still worse. For many years, no solution could be found to give it a future and Astley Castle became a ruin. By 2007, English Heritage had listed it as one of the 16 most endangered sites in Britain. The Pasqualoni Pool Project won the HNA 2017 Award in the Concrete Paver – Residential (>3,000 Square Feet) category. 9 November 2017 — Hardscape North America selected 16 hardscape projects to receive the 2017 HNA Awards for design and construction. In addition, 20 others received Honorable Mention recognition. 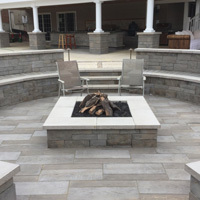 This past summer, Architectural Gardens (AG) of Lake Forest, Ill., won an Excellence in Landscape Award for transforming a rather featureless backyard into an urban-like outdoor living area. 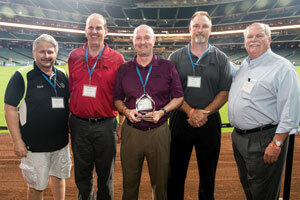 David Weekley Homes, the largest privately held home builder in the United States, implemented its comprehensive supplier evaluation system and its measurement for world-class excellence, the “Partners of Choice Award” in 2004. Input from nearly 1,000 David Weekley team members is used to analyze supplier performance in diverse industries, provide feedback to these suppliers, and recognize those truly outstanding achievers.